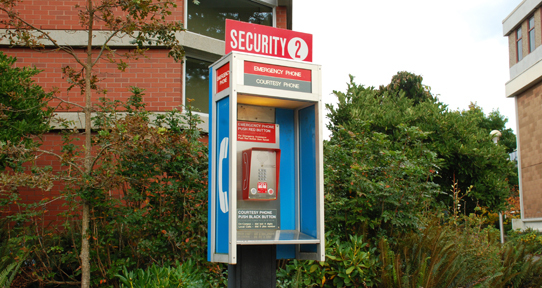 Look for these phones on campus, which can be used to call for help in an emergency. Immediately report any suspicious persons or circumstances to Campus Security. We will notify the police, if necessary. If the situation is urgent or involves criminal activity, call 911.